Blackstone Corridor: 2,300 SQ FT zoning RMX, building located 1 block from Manchester Center Mall is .70 miles from Hwy 41. Location is prime, high traffic, corner lot, and great signage space available. The building interior has flexible space, flooring carpet and tile. Will consider tenant improvements with long term lease. Exterior is concrete, large windows, and iron rails and security door. Parking lot is open parking with capacity for 20 cars on lot. 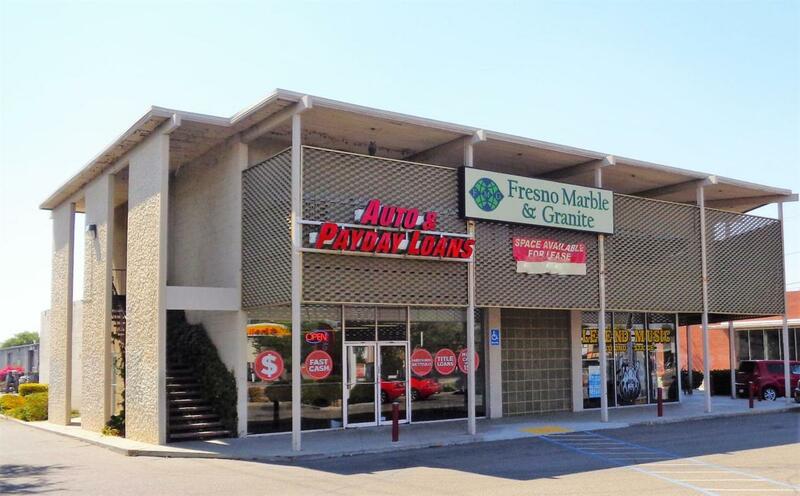 The current tenants: Appliance store, Fast Auto & Payday Loans & Fresno Marble & Granite.